The title seems pretty self explanatory. You may have seen a lot of Mango Avocado Salad Recipes out there. Some with beans, some with onions, cucumbers and some even with Chicken (gasp!). But when you are an Indian, you know and have tasted the different varieties of mangoes available in India and so you develop a certain respect for the king of fruits, Mango! You can’t just put anything in a dish that has mangoes. You don’t waste mangoes! No sir you don’t! You have tasted the best varieties of mangoes in the world, like Chausa, Langda, Badami, Totapuri and the famous Alphonso! You know that nothing else but the best of fruits should be paired to make the best Mango Avocado salad. Mango Avocado and what salad? So why not onions and cucumbers in this salad? Well, because I used sweet ripe mangoes from the Indian Subcontinent. If I were using a raw or slightly less sweet mango, I would have happily used onions. I use onions in a Summer buster raw mango chutney all the time. It goes great with it. But with a rich creamy Avocado, you need to add some complexity with sweet and citrus flavours. Where are your Mangoes coming from? Before I get to the Mango Avocado Salad recipe. I want to tell you something (or maybe a lot of random facts) about mangoes from Indian Subcontinent from the perspective of an Indian expat. As I write this in the latter half of July, most of India is enjoying Monsoon rains. They are also getting ready to say goodbye to the mango season. Living in Dubai, I have the advantage of enjoying mango varieties not only from India (whose markets are flooded with Dussehri, Langra and Fazli variety currently) but also from Pakistan. These days I see a lot of Pakistani Sindhri Mango which originates in Sindh’s Mirpurkhas area. I also come across Chausa from either India or Pakistan. I am yet to find the much famous Anwar Ratol though. And of course there is the Alphonso that I have re- discovered only after I moved to the UAE as it wasn’t a popular variety when I was living in Delhi. In Delhi, we enjoyed most varieties from Uttar Pradesh, Punjab and Himachal amongst other states like Bihar in the North. Mangoes like Totapuri and Alphonso from Karnataka and Maharashtra respectively weren’t very common on the carts in the 1990s and even 2000s. It is only now that we see Mangoes from everywhere being sold in Mother Dairy outlets in Delhi and the national capital region. One of neighbours here who hails from Pakistan’s capital of Islamabad told me that Mangoes in Pakistan come till late August as some varieties are late maturing. I try to find out more about Pakistani mangoes and discover that every year the Pakistan government sends kilos of it’s Best Mangoes like Anwar Ratol, Sindhri and some others to neighbouring State leaders including the Indian Prime Minister and President. The situation at the border may be tense but Pakistan still sends Mangoes as part of what is termed as “Mango Diplomacy” by media pundits. India though seldom returns the gesture to Pakistan. Some think it’s a generous gesture of sharing your best produce while others just think Pakistan is showing off. Pakistan is after all one of the largest Asian exporters of Mangoes in the world where India is the largest producer of Mangoes. Kings from the Indian Subcontinent have always sent mangoes to neighbouring kingdoms, a tradition that Indian and Pakistani Governments have continued to the 21st century. Indian mangoes or Pakistani Mangoes? Which is better? Pakistan and India, both take immense pride in their Mangoes and often discuss on Internet forums and otherwise about who has the best mangoes. My favourite Indian varieties are Chausa, Langra, Dussehri and the new entrant (in my repertoire), the Alphonso. Among the Pakistani varieties, I really do love the Sindhri and their version of the White Chausa. The truth is that living away from India for the last four years have made me forget the actual time of arrival and the ability to distinguish the taste and flavours of some varieties of Mangoes. I often find myself messaging pictures of mangoes to my parents to ask them what variety this is or ask Kanika if she remembers. Sindoori– these have a distinct red colour patches on the skin that also has shades of bright yellow and green; often a bit tart; very distinct flavour; if it has been ripened on the tree it is one of the best. Safeda/ Banganpalli- often the first variety of Mangoes available in North India; around April- May; big in size; Grown in Uttar Pradesh, neighbouring areas and Andhra Pradesh in the south; has slight sweet citrusy notes, the skin is light yellow. 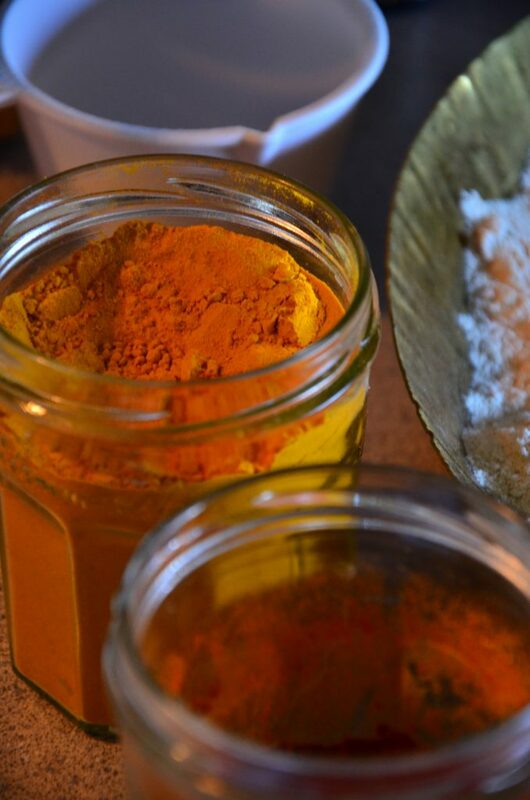 Kesar – grown in western India, sweet, juicy, fibrous in texture; available till June end most of the times. Saroli– slightly tart, has a bloated big size mostly, greenish skin. Langra (sometimes Banarsi Langra)- often irritates the throat if it is not fully ripe, the flesh is sweet, extremely juicy and fibrous, has a slaty dark green skin. Chausa – one of my favourites, golden yellow colour, extremely sweet and juicy with fibre-less flesh; arrives somewhere towards the end of the mango season in north India, we prefer the one with the green skin. Fazli– really big in size, tastes similar to Chausa, is juicy, has a late maturing fruit and comes after all other varieties, signifies the end of the Mango season in the north of India. If you have any comments/suggestions/corrections about the above list please comment on the article below. I haven’t covered Totapari or Alphonso because that is not my expertise. But I can only talk about their taste. The Totapari has a long body with a pointy narrow bottom and tastes extremely tart. It is often sold cut with salt and red chilli powder sprinkled on top in the streets of towns in Karnataka. The Alphonso, grown in Western Maharashtra, often termed the best Mango ever, is smaller in size, has a lovely bright yellow skin, is extremely juicy and sweet and has notes of Lychees in my opinion. The advantage of being an expat and that too, not too far away from the Indian subcontinent, in the United Arab Emirates is that I get to experience the best Mangoes from India and Pakistan. Yes, I don’t care much for the Kenyan and Thai varieties so much. Shipping of cargo to Jebel Ali Port in the UAE from Karachi in Pakistan and the west coast of India takes approximately 2 and a half and 3 and a half days respectively. 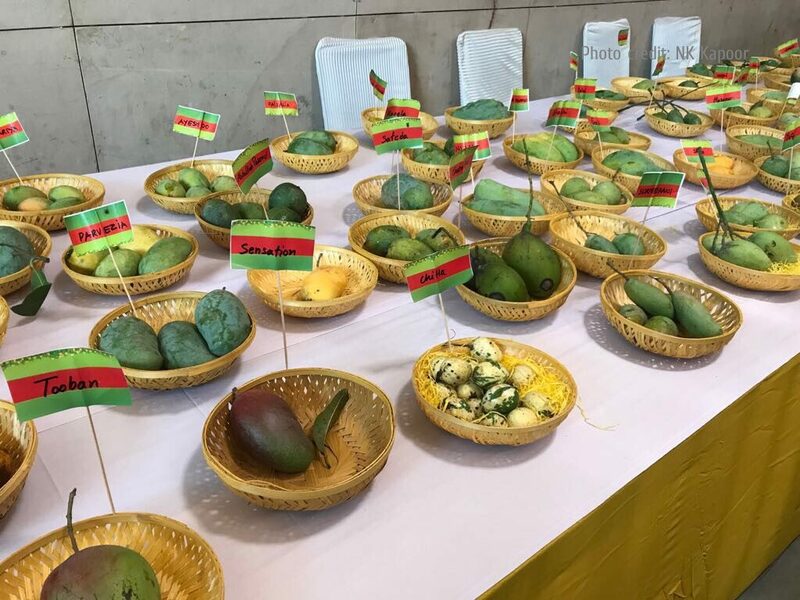 Kanika and other friends in the USA don’t have the luxury of proximity that residents in the UAE enjoy, the lack of due to which certain varieties of mangoes that rot and over-ripen during long travels. USA missing out on the world’s best Mangoes? Another reason why Indian mangoes don’t reach the Americas is because they were not allowed to for a long period of time. In 1989, the US put a ban on mangoes from India due to the fear of contamination by pests that the produce may bring in. The ban was finally lifted in 2007 but still aren’t as common to be found in their markets. Kanika tells me that they have to place orders from specific Mango importers that send produce that has been irradiated through the few facilities available in India. The produce while still in India is screened by the USDA officials. The process is tedious and causes delays. Read about the import of Indian mangoes to the US here in an article in Vice Munchies. Let us wait for Kanika to shed more light on her experience with mangoes like the Tommy Atkins in the US. She tells me she is experimenting with a Mango jam recipe and will share it soon. Coming back to the Salad recipe, I made this salad using Avocados, Peaches and two kinds of mangoes: Indian Dussehri and a Pakistani White Chausa. Why, you ask? The Indian Dussehri with it’s creamy textured orange flesh and honey sweetness complements the fatty Avocado perfectly and the Pakistani White Chausa with a slight citrusy notes brings out a subtle contrast to the Dussehri and the Avocado. The flat Peaches add so much juiciness to the salad with some lime juice and take it to a whole another level. I have to admit that this recipe isn’t anything new. 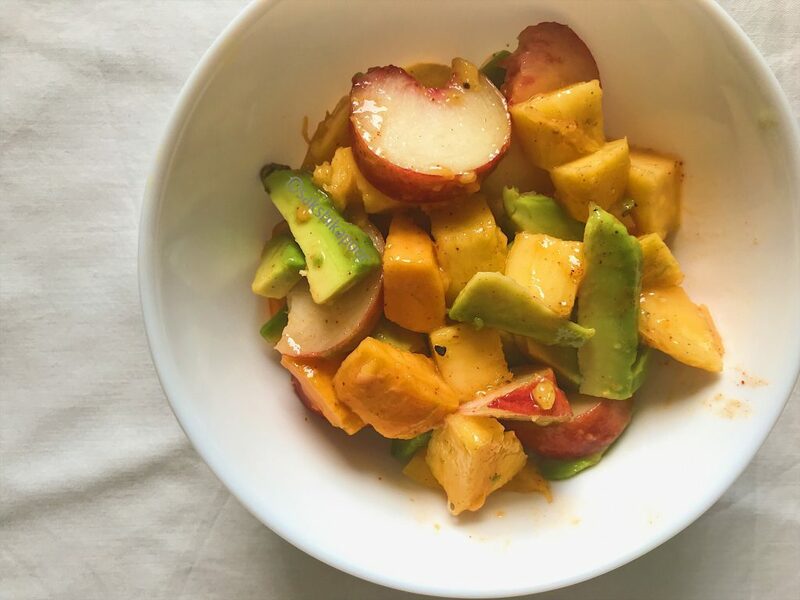 It is a simple Mango and Avocado Salad with peaches a simple lime juice dressing that contains spices. But the use of the best Desi mangoes, Indian and Pakistani makes me only realise how they beautifully compliment each other in a salad. After all, they share their roots in the same land, the Indian Subcontinent. They are interconnected. Pakistan’s pride of Anwar Ratol Mangoes actually hails from the town of Ratol that is on the outskirts of Delhi. The area around Mirpur Khas endures extreme temperatures to yield the sweetest Sindhri mangoes in it’s sandy clay soil. Malihabad in Uttar Pradesh, also known as the Mango Capital of India, has the oldest mother tree that dates back some 200 years and still yields saffron flesh coloured sweet Dussehri mangoes. It is also the place of the origin of many known Mango cultivars. Like Shivam Vij says in this article in Scroll, “We are the mangoes we eat!”. I am in my heart, very much a desi! 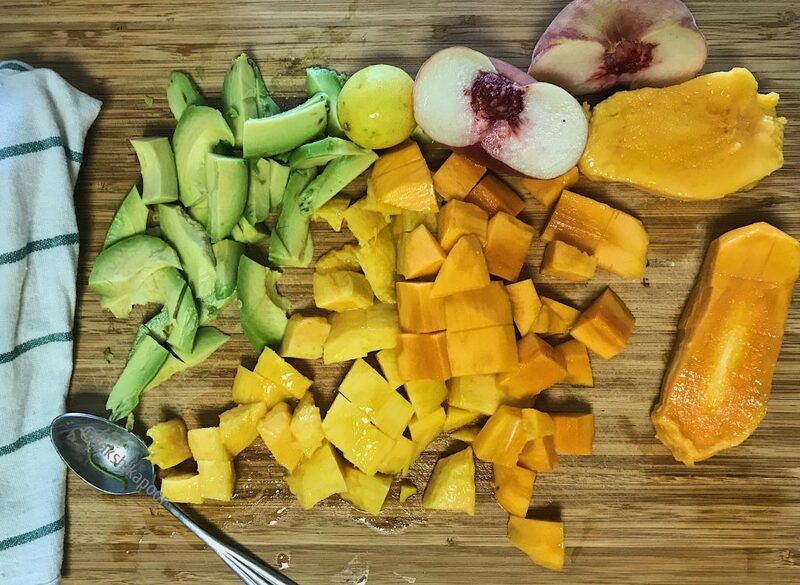 Melange of Fruits from all over the world~ Peruvian Avocados, South African Peaches meet Indian and Pakistani Mangoes. Next, peel the mangoes and dice them into bite sized pieces. Learn more about dicing a mango here. Now open the Avocado carefully by slicing it through and along the pit. Pull apart the two halves and then remove the pit very carefully. Wash and pat dry the Flat peaches. Slice the peaches long along the pit. You can of course use whatever kinds of peaches or even apricots here. Gather all the sliced fruit in a bowl. Finally, sprinkle salt, pepper, red chilli powder according to taste. You may add a few pinches of roasted cumin powder or even some chaat masala if you prefer to make this salad spicy like a fruit chaat. This is as desi as a salad can get! If you are using honey, mix the lemon juice and honey together in a small bowl till homogenous. Drizzle and mix well. If you are skipping the honey like I did, just squeeze in lemon juice and mix the contents to coat evenly. 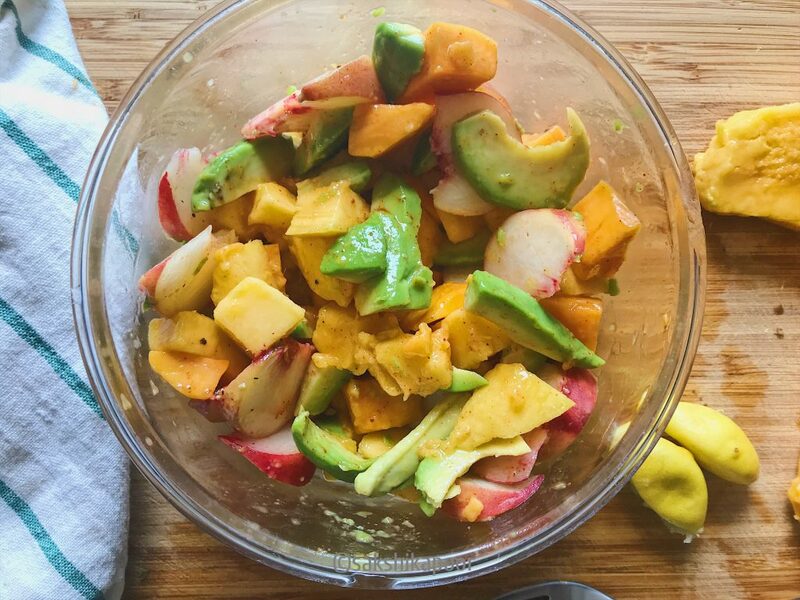 Serve this Mango Avocado Salad in bowls for a light fruity lunch or as a side to a meal. A fresh fruit salad that brings together the best Indian and Pakistani mangoes together with Avocados and summer fruit to make a delicious dish. Next, peel the mangoes and dice them into bite sized pieces. Run the knife vertically on the avocado peel to slice it. Alternatively you can cut the Avocado in whatever shape you like. Wash and pat dry the Flat peaches. Slice the peaches long along the pit. Sprinkle salt, pepper, red chilli powder according to taste. Serve in bowls for a light fruity lunch or as a side to a meal. You may add a few pinches of roasted cumin powder or even some chaat masala if you prefer to make this salad spicy like a fruit chaat.